There is no use to have a washer that doesn’t function. You want your appliance to work and, as a matter of fact, to work well. 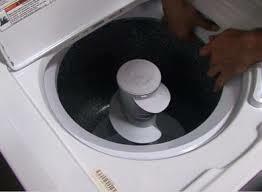 Let our washing machine repair Pasadena technicians help you out. We can fix malfunctioning washers, identify their problems, offer solutions, make replacements and installations, and help you keep your appliance for years to come. How do we manage those things? By having up to date knowledge and training and also by focusing on each task. At Around Town Appliance Repair Pasadena, CA, we do believe that specialized knowledge makes the difference. So, we do expand ours by getting updated with everything new with home washers in California. We offer full washer repair services and support you every time you are in laundry trouble. There are absolutely no limitations to what we do. When it comes to washers, you can simply rely on our washing machine technicians whatever you need. Our services include installations, replacements, routine and emergency repairs, troubleshooting! You name it! We do it! If you simply want an evaluation of the appliance’s condition and to find out if it’s worth keeping it or not, we are here to help. We offer honest evaluation and solutions, affordable services and fast response time repairs.